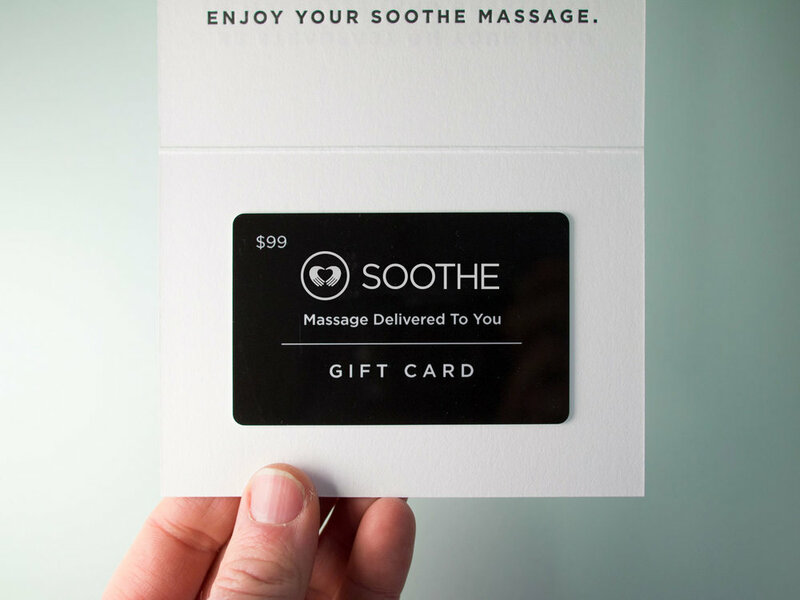 Soothe is the #1 on-demand massage app that allows users to book a relaxing massage in their home, hotel, or location of choice any day of the week, from 8 am to midnight. Available across 65+ cities, Soothe’s network of over 11,000 licensed therapists arrive in as little as an hour with everything needed to create the ultimate spa experience including the massage table, linens, oils, and music. Book in seconds using the Soothe app or visit soothe.com. Soothe Collection aromatherapy line. Hand-selected and chose scents, ingredients and materials along with design and marketing (photoshoot + shopify site) to create an essential line enhancing Soothe’s massage experience. Soothe At Work web and mobile design. Soothe At Work offers in-office massage and stretches to companies in over 60 cities with a team of over 11,000 massage therapist, decreasing workplaces stress and improving productivity.